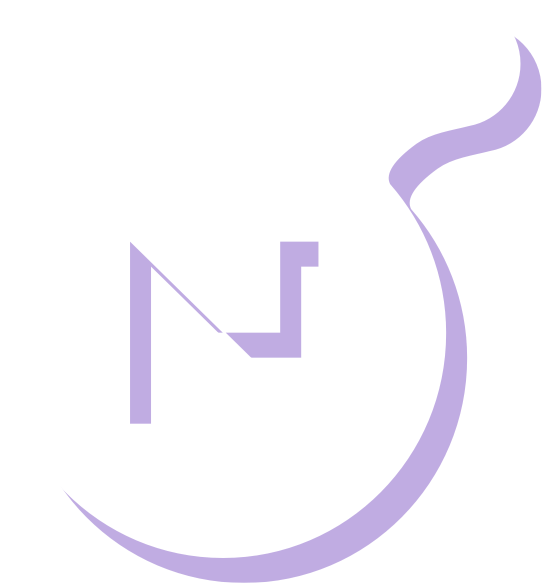 At the bottom of each and every page of your Nucleus, you'll find the Nucleus footer. 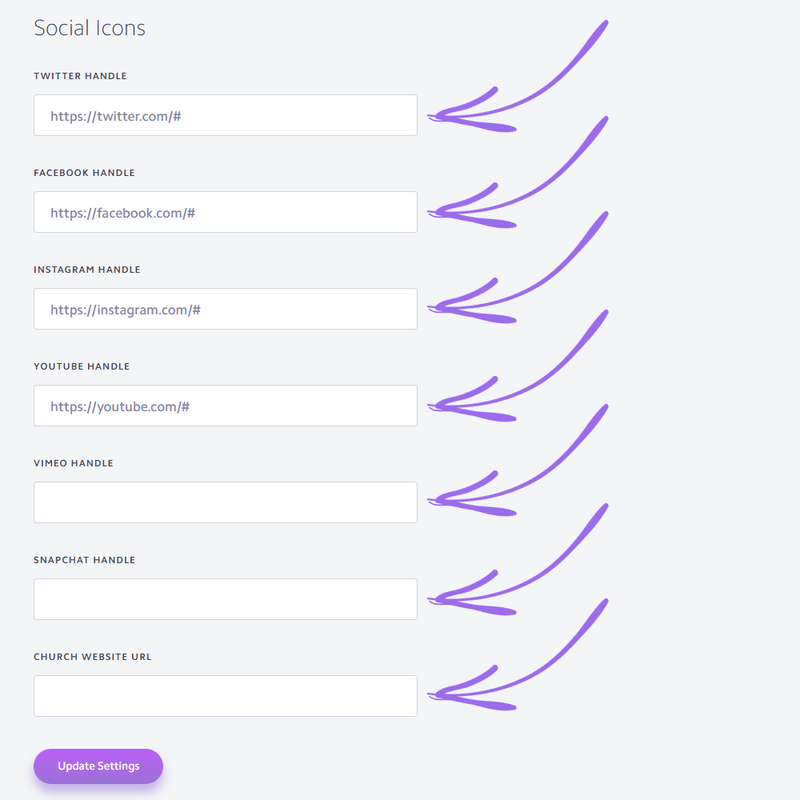 And within this footer, is a series of social buttons that link to external websites. See the screenshot below to see how your Nucleus social footer buttons appear to users when viewing your Nucleus on desktop. To customize your Nucleus social footer buttons, begin navigating to your Nucleus Settings page while logged in to your Nucleus account. 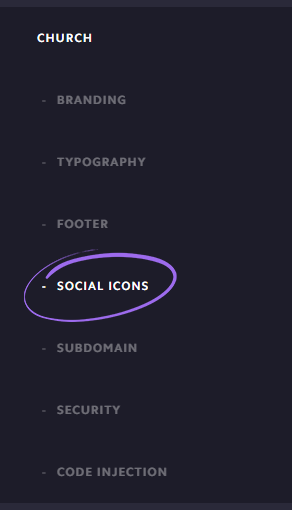 Then, in the left sidebar, click 'Social Icons' under the 'Church' section. Here, you can enter links to each of the fields you wish to appear in your Nucleus footer. NOTE: If you leave a field blank, that button will not appear in your footer. 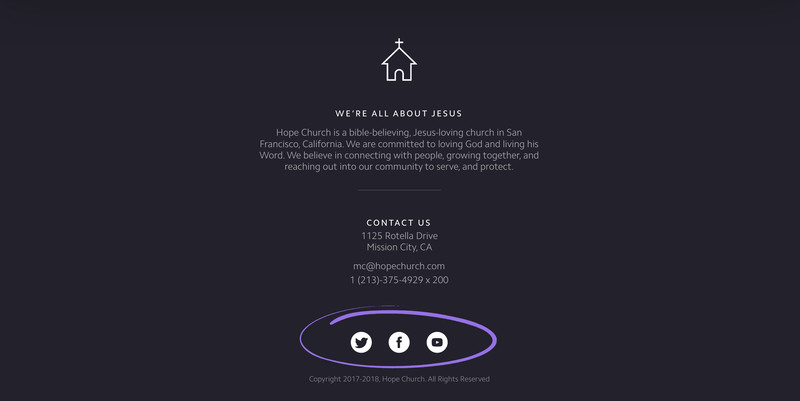 For example, if your church doesn't have a Snapchat account (or doesn't wish to link its Snapchat account from its Nucleus) simply leave the Snapchat field blank and your Snapchat footer button will disappear. 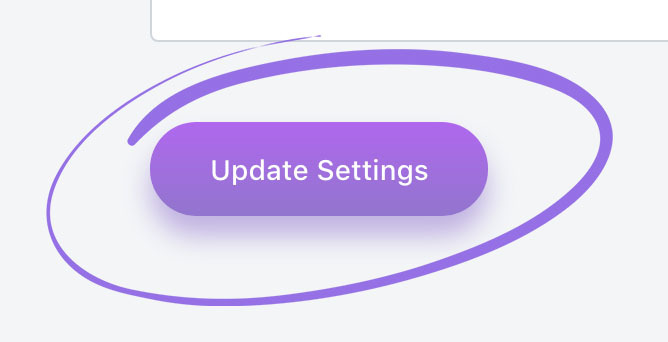 Once you've added each of your links in the fields provided, scroll to the bottom of your 'Nucleus Settings' page, and click the 'Update Settings' button to commit and save the changes to your Nucleus.